I bought this car on 23 November 2012. The date of application was 23 November 2019. This is my precious car which I have been driving. which is super hydrophobic and I spent 60,000 JPY for it. Its water repellency was good, but I found some water spots after car washing. I expect Pika Pika Rain PREMIUM Ceramic Coating so much. Actually, it made my car very glossy. I’m really happy because when I splash the water, it was sliding water beautifully. There should be nothing to say if the durability will be good, too. When bought new PRIUS I wanted to apply ceramic coating, but I couldn’t because ceramic coating is expensive. However, I found Pika Pika Rain Ceramic coating which is No.1 in the online stores when I searched it on the Internet. I felt that I can do this, so finally I bought it. Regarding the first car, I was only careful about the weather (rain) and it was easier than car wax. I didn’t find the water repellency, but after the application, I could find it clearly. I could apply it to my PRIUS with half of a bottle, so I also applied to my MIRA GINO. plastic parts and painting surfaces which were foggy got shine and it made me happy. I will check how long it can keep in this condition and then I’m going to reapply. The movie is after 1 week when I applied Pika Pika Pika Rain PREMIUM. This was third time for me, but I have found new things. We have to watch out not only rainy days but also windy days. 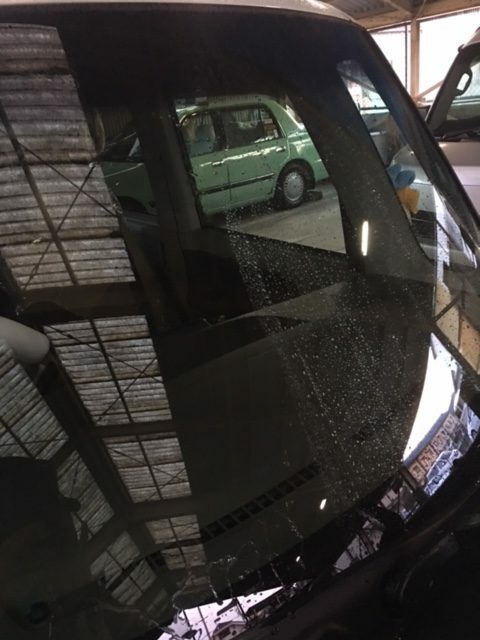 If the wind is strong, dust might adhere on the car body until the car dries. 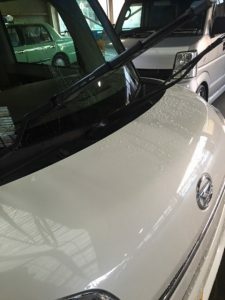 In the first day, I did only washing my car due to the 6 – 7 meters per second. I recommend to do the work weaker than 2 meters per second. I applied it to two cars, one was a brand new car (MOVE CANBUS) and another was a 6 years car (ALTO LA PIN). ・For the new car, I applied after washing. First the sponge was not smooth, so I can feel that I could remove the oil. 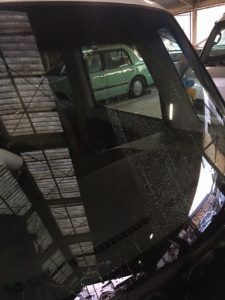 ・For the second hand car, I didn’t remove the oil because I polished it with compound due to scratches and the previous coating. It is difficult to find the difference in the video, but only washing with car shampoo looked enough for removing the oil. especially, I live in the cold area, so I felt the results when snow on the roof slide to the front while driving. 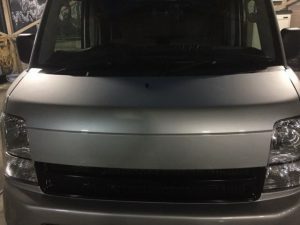 The price is near 10,000 JPY, but I think that Pika Pika Rain Coating should be more cost-effective than applying by professionals if I don’t put much effort and make a mistake. The beginning of the video is after the application. Before I applied ZERO WATER once a few months. The latter half of the movie is after 2 weeks from the application. I think that it is easy to apply as other reviews says. I’m also satisfied with the water repellency. I was worried about raining during the application, but I finished it in the cloudy weather. I’ m going to use Pika Pika Rain again. 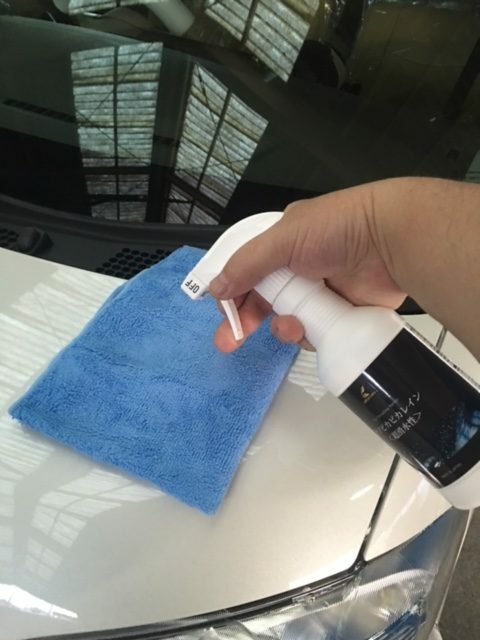 Review of Nano Pika Pika Rain Type-K car treatment spray. 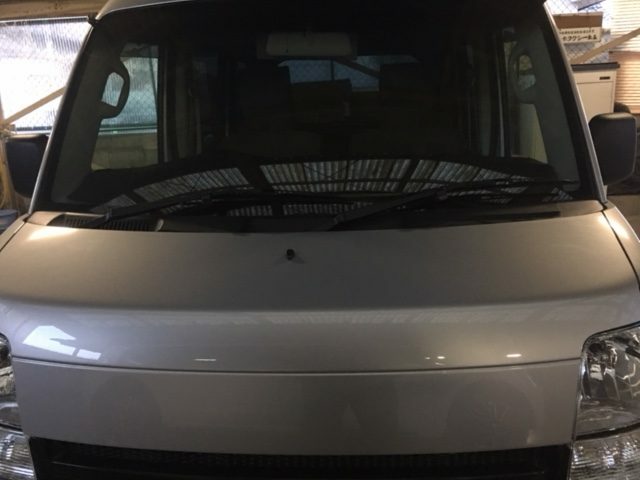 First I applied Nano Pika Pika Rain Type-K on my brand new Suzuki Tanto just arrived. 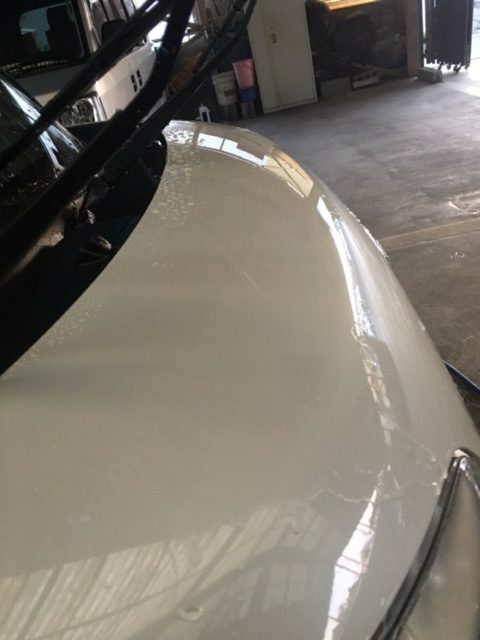 No glass coating by a dealer. 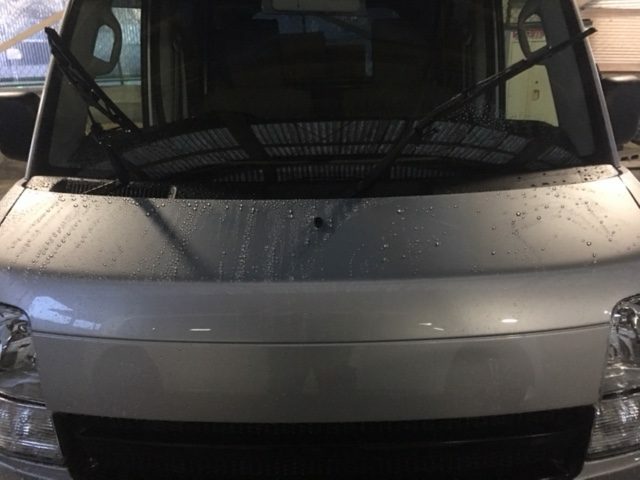 I just did car wash.
No water repellency at this stage. I removed oil as well and make sure no water left. Nano Pika Pika Rain Type-K on the cloth and applied on only right half of the hood. I pour water after application. 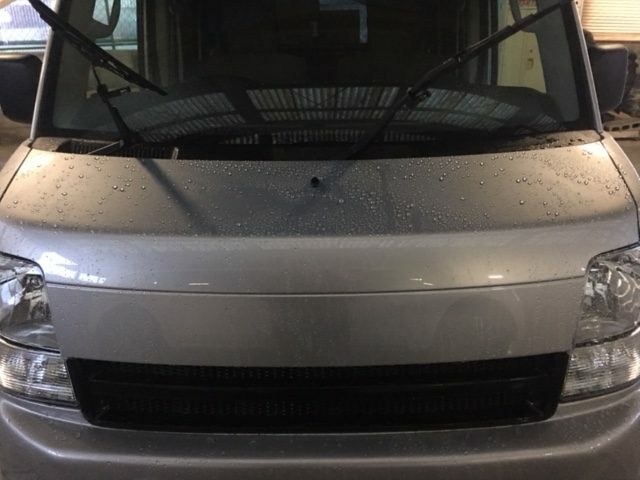 You can see water repellency on right half of the hood. I tried on windshield as well. Looks good. Now I apply Nano Pika Pika Rain Type-K on a glass coated car. I asked a car detailer to apply their best glass coating. = making a big water beads so hard to get water spots. 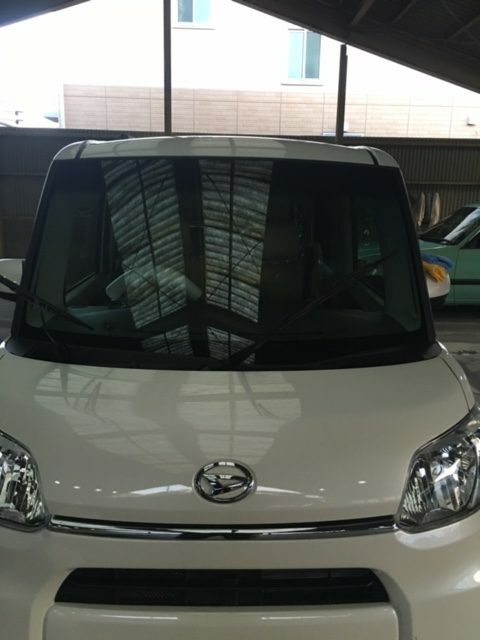 Apply Nano Pika Pika Rain Type-K on right half of the hood by the same steps as Suzuki Tanto. Can you see the water beads gets bigger on the right half? Water slides off better and less water beads left. The pic is dark and hard to see but gloss and touch is better as well. I applied on satin parts and the black color gets deeper. coated and non-coated cars and it’s really easy to use.